You want to know how to survive the process of divorcing an addict. We will do better than that. We will go beyond survival. We will show you how you can thrive and get a successful result when divorcing your addict spouse. These are not vague tips. They come from decades of combined experience by our family law firm’s attorneys. Drugs includes illegal drugs and abuse of prescription medication. This is not about divorcing an alcoholic. We wrote an article about that topic and we linked it for you below. We do not distinguish between illegal drugs and prescription medication. 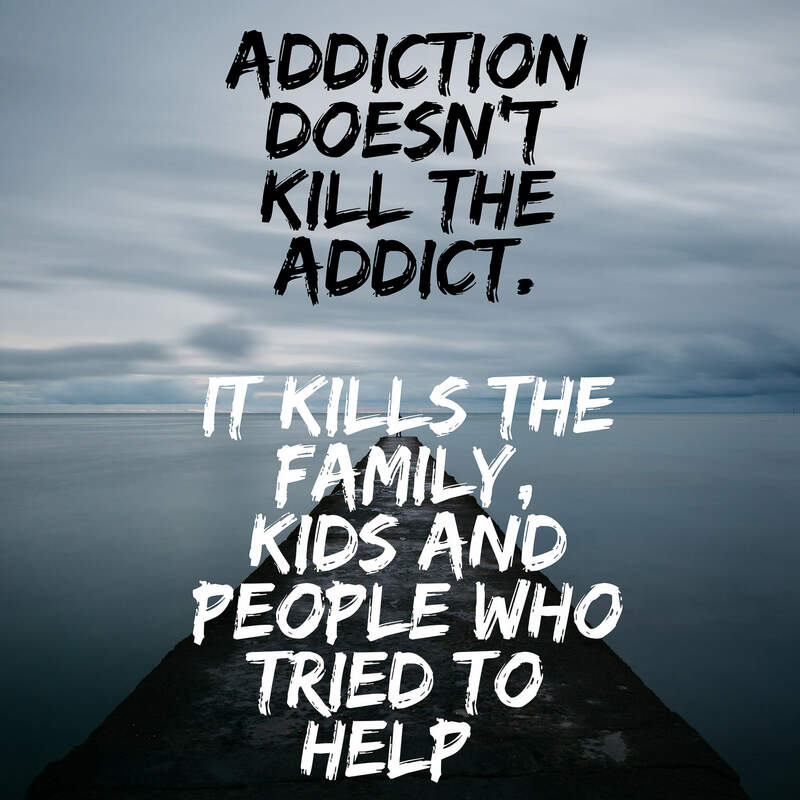 As of 2019 when we write this article, we see just as many divorce cases against addicts who abuse illegal drugs as we do with those who abuse prescription medication. The following are the most common drug categories we see when divorcing an addict. The most common drugs (legal and illegal) we see are the following. We discuss three categories of addicts. The functional addict is often able to hold down a steady job, make good income and generally present himself or herself as a normal, functioning adult. Such addicts often binge in their drug use between episodes of sobriety. Sometimes, they build a tolerance, which is, in part, genetic. Most important, unless you live with the functional addict, you may never know he or she is a drug addict. Some functional drug addicts hold a powerful position in large companies and even State or Federal government positions. The dysfunctional addict is the opposite of the functional addict. He or she bounces from one job to another and is unable to hold down a job. 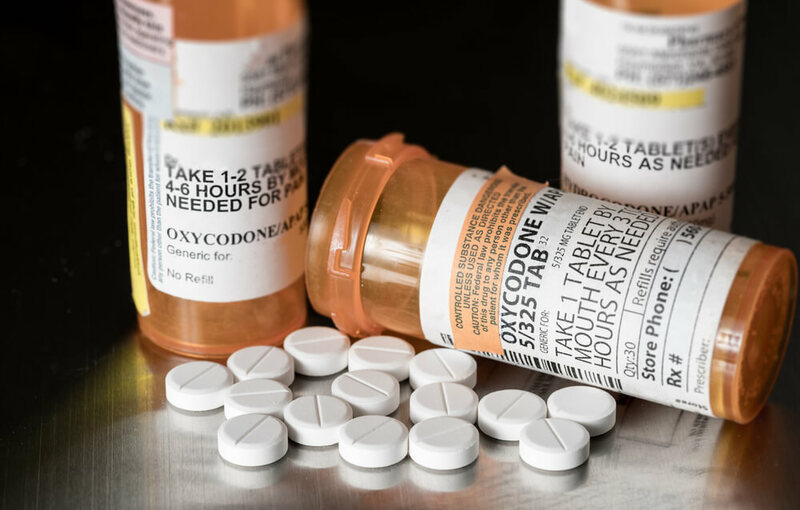 Dysfunctional drug addicts often have a criminal record, including those for possession and/or use of illegal drugs, and driving under the influence. The dysfunctional addict may also have a record of attending and falling out of rehabilitation. The junkie is an extreme version of the dysfunctional addict. This goes beyond dysfunction and reaches a level of use that may cause the addict to end up in a body bag on any particular day. The drug addiction is often long-term. Such drug addicts also associate with known criminal elements. They may have an extensive criminal record. They are an ongoing danger to themselves and anyone around them. Everything we write here applies to functional addicts, dysfunctional addicts and the junkies. For the last two types, the strategy may change and become more elaborate. We note that on the list below. Journal the drug addict’s use before and during the divorce. You can maintain a Microsoft Word document or any other software program that you feel comfortable to use. You should document the drug abuse. You should also use opportunities to present themselves to photograph the abuse. Do not steal passwords, provide false information to gain access to computers or engage in other potential criminal conduct. Ensure you act in compliance with the law. If you are not sure, consult with a criminal law attorney before taking action. Our family law firm provides such referrals. Here are examples of documenting and photographing the drug abuse. These are usually electronic receipts, credit card statements, and activity statements, including those on PayPal, as one example. These may be prescriptions, including fraudulent prescriptions or those that do not belong to your spouse. If you see the drugs and paraphernalia, photograph it. You should also speak with a criminal law attorney about how to avoid liability to you for allowing drugs or paraphernalia at your residence. This may be difficult and you should not do this if it potentially places your safety in danger. If you have electronic communication between you and your spouse that shows your spouse’s drug abuse, secure that communication. Do not delete it. Maintain it in its native format. Use ongoing communication. If your spouse admits to his or drug abuse, keep that record. If you have a reasonable opportunity to document your spouse’s drug abuse, consider doing so. This may be an email or text message that expresses concern about something your spouse did or failed to do. It can be as simple as expressing concern over your spouse’s drug abuse. It can cite to an incident that just occurred. No matter what it is, it must be truthful and come across as normal communication. An experienced family law attorney can help with this. If you have records of your spouse’s attendance at a drug rehabilitation facility, save it. Save these records as they may prove useful on start and stop dates. Much of these are public record. You should still save all of the records you have, especially since some people expunge their criminal record. Expungement may make it difficult to obtain the records from the Court. A private investigator can set up surveillance and find information to which you and a family law attorney do not have easy access. There are several ways to safeguard the documents and photographs. Upload the information to the Cloud and password protect the access. Keep a backup flash drive of the documentation and keep that flash drive in a place where your spouse does not have access. Provide the information to your divorce attorney. We break up witnesses into two categories. These witnesses provide information to you and your retained professionals, including your divorce attorney and/or private investigator. They are also witnesses who have facts that support your position that your spouse has a serious drug addiction. Maintain each friendly witness’ name, address, phone number and email address. Hostile witnesses are those who have personal knowledge of your spouse’s drug addiction but will likely not testify voluntarily. Your divorce attorney can subpoena such witnesses. These usually include one or both of the following. You and your divorce attorney must put together a specific strategy. The strategy should, at a minimum, address the following issues. This is an easier transition to divorce. You likely will not need a restraining order or urgent child custody orders. This may require a restraining order and emergency child custody orders. You must have the evidence to support your position of this threat. You will need immediate child support, spousal support and/or property control orders. Property control includes access to financial accounts. You may also need an order for your spouse to contribute toward your attorney’s fees for the divorce. If the addict is the family’s financial support but has an inconsistent work history or does not report his or her income, the “timing” for the divorce becomes more important. The date your attorney files and serves the divorce papers depends on each of the above issues. Many divorce attorneys do not speak with their clients about this issue. They do not plan or prepare. That is a mistake. The more unstable your spouse is, the more time sensitive temporary custody and support orders become. When divorcing an addict, no two situations are the same. You and your attorney should customize the timing strategy to your specific situation. A drug evaluation is different from a private child custody evaluation although a drug evaluation may be part of the custody evaluation. An addiction expert (typically a Ph.D.) conducts a drug evaluation. A forensic psychologist often performs the custody evaluation. Some forensic psychologists also perform drug evaluations. If you want the evaluation, you and your attorney should speak about the report’s admissibility into evidence. The evolution of California law may prohibit an expert’s report and opinion from coming into evidence if the expert relied on case-related hearsay. We are not going to discuss what that means here, as it is a highly complex issue. If you want the report to come into evidence and for the judge to consider it, your attorney should propose to your spouse’s attorney specific language regarding the report’s admissibility. CURES is the acronym for “Controlled Substance Utilization Review and Evaluation System.” Learn more about CURES by visiting the State of California, Department of Justice website. If your spouse makes significantly more income than you make do and/or has far more access to money than you, consider an attorney fee request. Learn more about these fee requests by reading our guide on Family Code 2030. If you are the breadwinner or have more access to funds, read our article titled, Defending Fee Requests. Family Code 3011 states the following. Pay special attention to section (d). (A) A child to whom he or she is related by blood or affinity or with whom he or she has had a caretaking relationship, no matter how temporary. (C) A parent, current spouse, or cohabitant, of the parent or person seeking custody, or a person with whom the parent or person seeking custody has a dating or engagement relationship. (2) As a prerequisite to considering allegations of abuse, the court may require independent corroboration, including, but not limited to, written reports by law enforcement agencies, child protective services or other social welfare agencies, courts, medical facilities, or other public agencies or private nonprofit organizations providing services to victims of sexual assault or domestic violence. As used in this subdivision, “abuse against a child” means “child abuse” as defined in Section 11165.6 of the Penal Code and abuse against any of the other persons described in paragraph (2) or (3) means “abuse” as defined in Section 6203. (e) (1) When allegations about a parent pursuant to subdivision (b) or (d) have been brought to the attention of the court in the current proceeding, and the court makes an order for sole or joint custody to that parent, the court shall state its reasons in writing or on the record. In these circumstances, the court shall ensure that any order regarding custody or visitation is specific as to time, day, place, and manner of transfer of the child as set forth in subdivision (c) of Section 6323. (2) This subdivision shall not apply if the parties stipulate in writing or on the record regarding custody or visitation." You and your attorney should collaborate and strategize on each of the following issues before you file a request with the court on custody and parenting time. What parenting time makes sense when divorcing an addict? Should it include overnight parenting time? Should it be limited to professional supervised visitation? Your request should include random testing. That random testing is often one to two times per month. The amount of notice varies depending on the situation although it is usually 4-8 hours. Most drug tests are urine tests. They should also be observed tests to avoid cheating the test. Hair follicle tests are controversial. Addiction experts will likely tell you they are critical to understanding drug use history. However, the general view is a court cannot order hair follicle testing without both spouse’s consent. Take the time to learn about different types of drug testing, from 5 to 12 panel tests. Should a positive drug test result in an immediate suspension of parenting time? Should a diluted test or missed test be the same as a positive test? You should collaborate with your attorney about these issues. The parent who requests the drug test often advances the test’s cost. If the test is positive, the tested parent must then reimburse the other parent. Most of the time, the spouses agree to a drug test result’s admissibility in court. This may be harder to achieve with hair follicle testing. Your declaration includes facts. It is not the place for argument. Your divorce attorney will show you the place for argument in the paperwork he or she prepares. Your facts must be organized and specific. Do not confuse opinion with facts. An opinion without facts is useless. Your exhibits include the documentation and photographs you obtained. What you will include or save for later is a strategy you and your divorce attorney will discuss. A witness’ declaration must also be fact-based and based on that witness’ personal knowledge. You can secure a witness’ presence in court through a subpoena. You should subpoena friendly witnesses. It is often a mistake to assume a witness will show up without a subpoena. If you are confident the hostile witness will speak the truth, you should subpoena such witnesses. You and your divorce attorney can collaborate on this issue. To learn more about request for order hearings, read our article on requests for order. Discovery is the formal request for information from your spouse or another person who possesses information or documents you need. Here is the most common discovery when divorcing an addict. The common subpoena may be for electronic receipts, credit card statements, bank statements and even communication between your spouse and the person who is subpoenaed. Your attorney may issue a subpoena for a witness to testify at a deposition or a hearing. Your attorney should take your spouse’s deposition and question him or her about the drug addiction issues. This is a request for your spouse to produce documents. This is a request for your spouse to admit certain facts. These are a powerful discovery request. A failure to admit the facts may carry consequences to your spouse, including being ordered to pay your attorney’s fees incurred to prove the fact he or she denied. Assume the drug evaluation and/or child custody evaluation is favorable to your position. Assume further that the report is admissible in evidence. You now have a significant opportunity to obtain the orders you seek. You should move quickly to put the custody and drug testing issues in front of the court if your spouse does not agree to the recommendations. This avoids the report from becoming stale. If the report does not support your position, you and your divorce attorney should discuss whether the issues are worth further litigation. A report is not the final word. Evaluators make mistakes. You should ensure your criticism of the evaluator’s recommendations and work is objective, and not emotion-based. If you intend to engage in extensive settlement negotiations with an addict, you may find a lot of time and money wasted. Addicts are unpredictable. They are rarely reasonable. Make reasonable offers consistent with the children’s best interest. If you cannot resolve the issues within a reasonable period, it is time to proceed to court. Trial is stressful. Many want to avoid it. It should not be a first resort. Trial is for those divorce cases where the spouses are unable to resolve the issues. Your personal ability to afford a trial. Your spouse’s ability to pay for your attorney’s fees and the timing and amount of the fee request. The community property resources available to pay for the fees. Your ability to obtain financial help from family or friends and the terms of such a loan or gift. Ready to discuss divorcing the addict in your life? Our family law firm has offices in Orange County and Los Angeles. Contact us for an affordable strategy session.